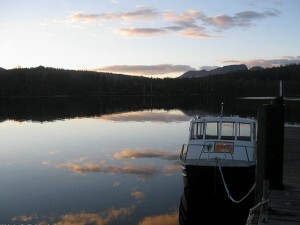 Cynthia Bay is the picturesque home of Lake St Clair lodge, at the southern end of Lake St Clair. The bay area is renowned for its outstanding scenery and magnificent views both around the shore, and across the water to Mount Olympus, Mount Ida, and the Traveller Ranges. Lake St Clair was known by the Aboriginal inhabitants as ‘Leeawuleena’ meaning “sleeping water”- beautifully evocative of the tranquil nature of the entire lake and surrounds. The lake’s deep waters reflect a range of colors during the course of the day, and in different weather conditions, from deep purple to shimmering green and sky blue. Around Cynthia Bay, there is a range of options for exploring and discovering the pristine beauty of the World Heritage Wilderness area. 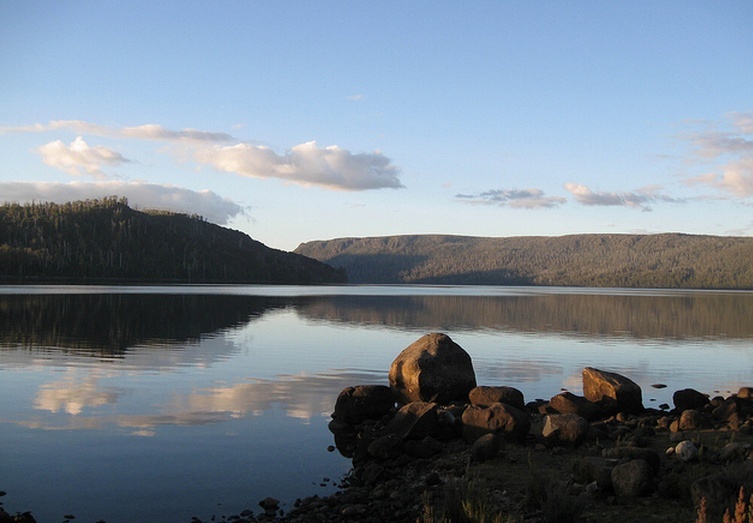 Numerous scenic walks begin and end near Lake St Clair Lodge ranging in length from half an hour to several hours, to suit all levels of ability and interest. Depending on the season, you may choose a route to experience a stunning variety of wildflowers, such as banksias, waratahs and orchids. On a different track you can marvel at the towering eucalypts, fern glades and rainforest. Yet another walk provides an interpretive guide to the Aboriginal heritage of the area. Whichever path you follow, you’ll be quickly immersed in the spectacular unspoilt beauty and serenity of a true natural wilderness. Perhaps the finest way to appreciate Lake St Clair is up close on the water itself. You can explore the inlets and coves of Cynthia Bay, or even try your luck at catching some fresh trout for dinner. A leisurely option for exploring the lake is the ‘Ida Clair’ ferry which departs Cynthia Bay to traverse the lake several times daily on a two hour round trip, allowing a spectacular views of the entire coastline. You don’t need to go far to experience the local wildlife. 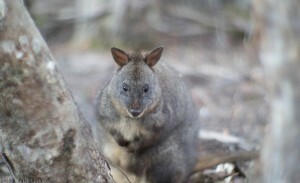 Unique fauna often spotted around Cynthia bay include the Bennetts Wallaby, Tasmanian Pademelon, and echidna, and if you’re lucky you may even spot a platypus – a famously elusive creature, but which can occasionally be seen feeding around the lake shoreline. For bird lovers there’s also plenty to see in the area, including several species which are only found in Tasmania, such as Black Currawongs, Yellow Wattlebirds, and Black-Headed and Strong-Billed Honey Eaters. Most visitors to Cynthia bay start their explorations at the Parks Services visitor and information centre. 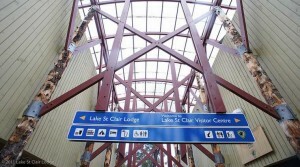 Open daily, it provides innovative and engaging displays about the lake and the region; especially the history of its fascinating geological formation. 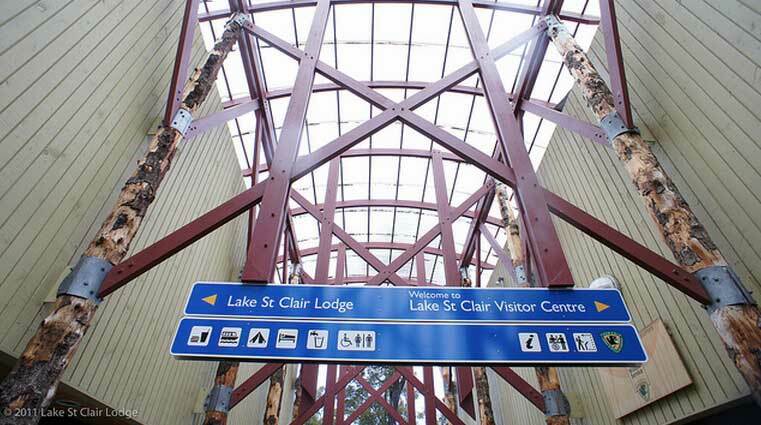 You can also learn about the extensive Aboriginal heritage in the area, and the wide array of flora and fauna to be found within the park. Facilities around the Visitor centre complex include, restaurant & cafe, picnic area with barbecues, toilets, and a general store.